And on and on I stitch. I have finished the quilting on the second quilt and am now hand sewing the binding around the edge. It's like never-ending! My fingers are like minced meat due to my being completely disabled when it comes to sewing with a thimble on. It never seems to be on the right finger at the right time. 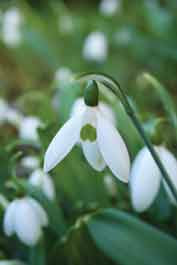 I have taken time to plant some bulbs I received in the mail from Vogelvry Bulbs in Tasmania. Near the front steps, I've planted a little patch of Galanthus elwesii, the original Snowdrop as distinct from the Snowflake which I also love. I admit to confusing the two names often. 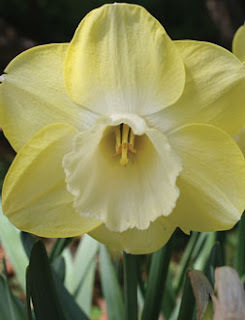 I also planted a patch of daffodil Avalon. Love daffodils! Otherwise, I have no news!